Carmel-by-the-Sea, often simply called Carmel, is a city in Monterey County, California, United States, founded in 1902 and incorporated on October 31, 1916. 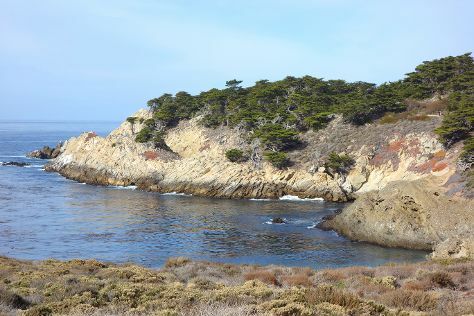 Carmel is known for nature, scenic drive, beaches, historic sites, and spas. 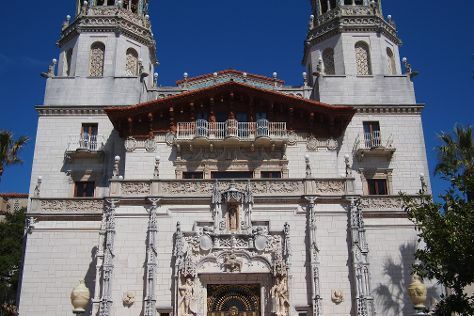 Your plan includes some of its best attractions: immerse yourself in nature at Point Lobos State Reserve, admire nature's wide array of creatures at Monterey Bay Aquarium, take in the architecture and atmosphere at San Carlos Cathedral, and wander the streets of Old Fisherman's Wharf. To find ratings, photos, traveler tips, and more tourist information, use the Carmel trip builder. Sydney, Australia to Carmel is an approximately 24-hour flight. Due to the time zone difference, you'll gain 18 hours traveling from Sydney to Carmel. Traveling from Sydney in November, expect Carmel to be slightly colder, temps between 21°C and 9°C. Wrap up your sightseeing on the 6th (Mon) early enough to drive to Cambria. Cambria is a seaside village in San Luis Obispo County, California, United States midway between San Francisco and Los Angeles along California State Route 1 (Highway 1). Kick off your visit on the 7th (Tue): admire all the interesting features of Moonstone Beach Dr, look for all kinds of wild species at Elephant Seal Rookery, and then appreciate the history behind Friends of Hearst Castle. On your second day here, enjoy the sand and surf at Moonstone Beach, take in the dramatic natural features at Morro Rock, and then look for gifts at Shell Shop Inc.
For where to stay, ratings, more things to do, and other tourist information, read our Cambria custom trip planner. Drive from Carmel to Cambria in 2.5 hours. Alternatively, you can do a combination of bus and train; or take a bus. When traveling from Carmel in November, plan for a bit cooler days in Cambria, with highs around 17°C, while nights are about the same with lows around 12°C. Wrap up your sightseeing on the 8th (Wed) early enough to travel back home.